Starting at only $0.09 a print! Those precious memories deserve to be printed so you can display and enjoy them every day... whether you tack a 4"x6" photo of you and your best friend on your fridge or blow up an incredible shot of nature you took on a hike in the mountains and create a 30x40 inch piece of art for your living room. Those images will make your heart smile every time you pass them. Furthermore, scrapbooking is all the rage. 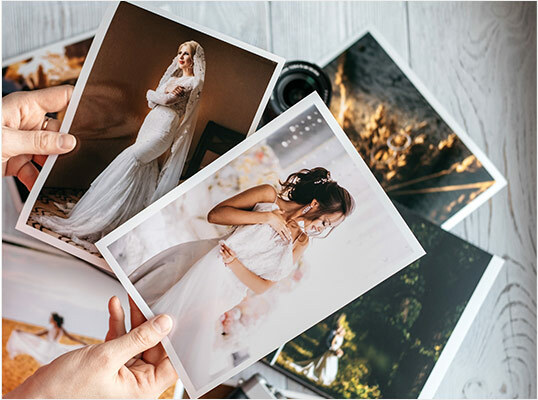 We make it affordable to order multiple prints so you can preserve all your treasured memories and share them with the important people in your life. Tucking a professionally printed photo into a birthday card or Christmas card makes it extra special. If you’ve been waiting for the right price to print the photos you are constantly scrolling through your phone’s photo gallery to find, the time has come! Now you can get professional-quality prints of those photos at affordable prices... starting at 9 cents for a 4"x6". 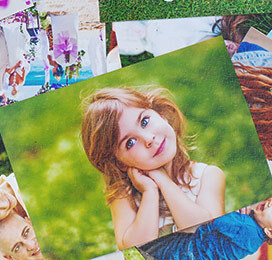 We offer a full gamut of sizes that can be printed on standard or quality photo paper. You can choose from four different finishes to match your applications – glossy, matte, lustre, and metallic. 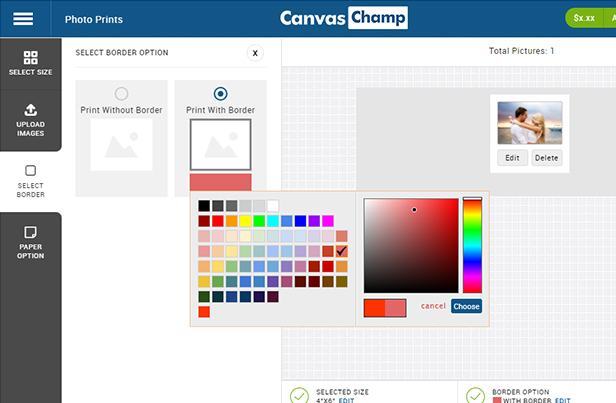 Our photo tools make ordering easy. And our staff is here 24/7 on business days if you need help editing your photo. Choose standard photo paper or, for greater keepsake value, upgrade to premium. Ordering is as easy as 1, 2, 3! 4" x 6" 5" x 7" 6" x 6" 6" x 8" 8" x 10" 8" x 12" 12" x 18" 12" x 24" 16" x 20" 20" x 24" 20" x 30" 24" x 36" 30" x 40"
Need More Reasons for Ordering Professional-Quality Prints? Choose portrait or landscape orientation in sizes from 6"x4"/4"x6" to 40"x30"/30"x40"
Low-cost option. So it makes economic sense when printing large quantities. For this reason, brochures are often printed on paper of 120 to 150 GSM. 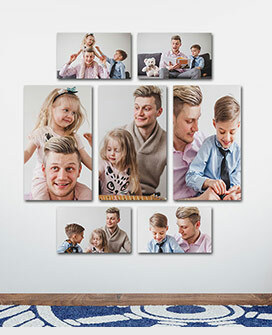 Premium quality is recommended for photos that have keepsake value – such as those being framed, mounted, or displayed in any way because they are better able to withstand environmental stresses over time. Shiny coating is applied over the photograph, which brings out the vibrancy of the colors. Compared to a matte finish, there is a heavier coating of sheen, making the images pop with bold color and vivid detail. The glossiness, however, can cause a glare, making photos difficult to view under some lighting conditions. There is the potential for glossy photos to stick to glass. The shiny finish also tends to show fingerprints and smudges, so it is not recommended for photos that will be handled a lot, unless they are protected in an album. So this option don’t play up the color as much as a glossy finish, and photos may appear a bit grainier. However, a matte finish does highlight the texture of an image. Therefore, a matte finish is recommended for photos with less vibrant colors or for black and white shots. Professional photographers, who make the most of color when shooting and editing, tend to prefer matte finishes because they are less likely to show fingerprints. The anti-glare properties of a matte finish make it a perfect choice for larger framed photos. Are slightly textured, which helps reduce glare and fingerprints. But the satin-like sheen results in much greater color saturation and detail compared to matte photos. Skin colors are true to life. Photographers tend to choose a lustre finish for wedding photos and portraits. Rich blacks, deeper contrasts, sharp details, and an overall metallic sheen. This option is designed for artistic creations rather than traditional wedding photos or family portraits. Metallic photo prints should be framed without glass. Photo prints with a metallic finish offer incomparable durability. They’re waterproof. They resist stains, scratches, and tears. They won’t yellow or fade from UV. And they won’t be damaged by tape or adhesives. Be sure to specify portrait or landscape orientation. 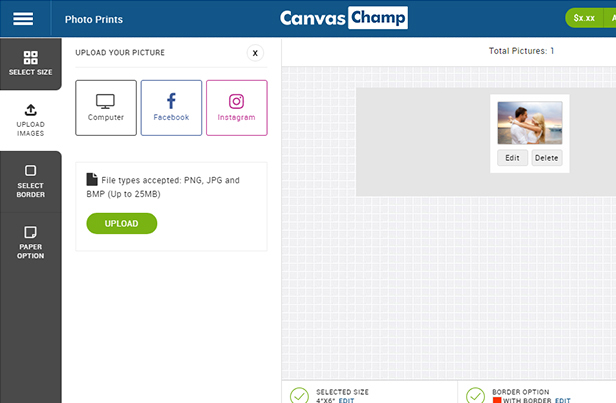 You can easily access photos from your computer, Facebook, or Instagram. Accepted file types are PNG, JPG, and BMP (up to 25 mb). 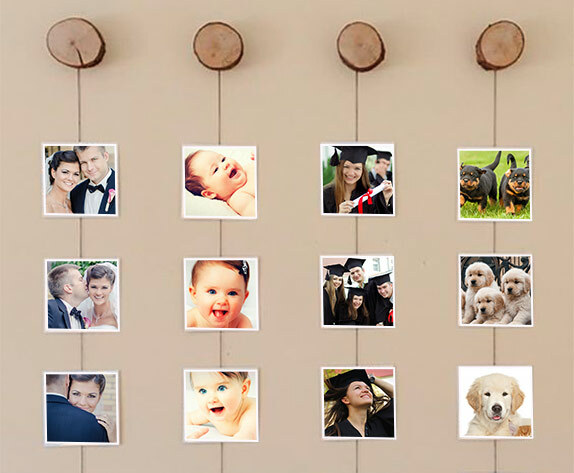 You can print your photo with or without a border. Choose standard (150 GSM) or premium (180 GSM) paper. We offer all the standard photo sizes plus many more choices. 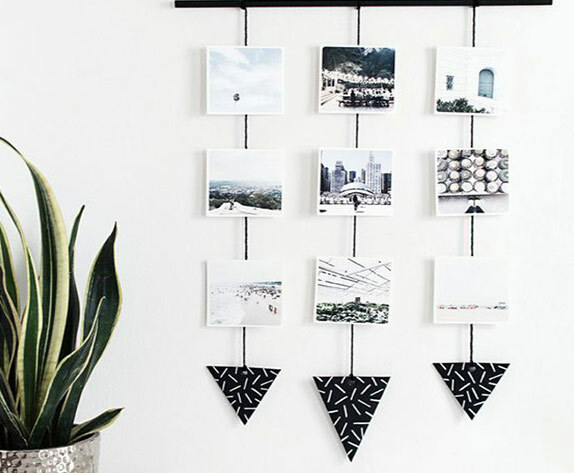 Nothing helps you remember and cherish special times like having a printed photo you can actually touch, display on a shelf, or hang on your wall. We make it easy and affordable to preserve the memories of those little moments that are easy to get lost in time, as well as the major milestones. We offer a variety of options to give you the professional quality your photos deserve. Don’t limit your prints to the standard 4 x 6, 5 x 7, or even 8 x 10 sizes. Think big! We offer enlargements up to 30 x 40 or 40 x 30. Imagine the presence some of your nature shots would command if you made them a focal point in your office, living room, or bedroom. The larger sizes are also perfect for portraits of wedding parties and extended family shots. Panoramic Photo Prints - New! Panoramic images Noritsu QSS-32 Digital All minilabs QSS-32 series have the ability to print the new maximum size prints up to 305x914mm (12x36 "), which can be used for print advertising banners, group photos, etc. This new service will give you a huge competitive advantage, as the size of prints twice ordinary maximum size 305x457mm (12x18 "). Bring your favorite shots to life with professional quality without breaking the bank. 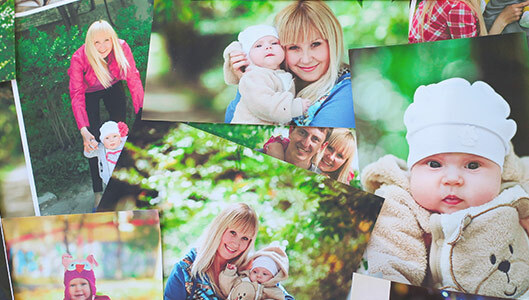 You can choose standard-quality photographic paper or upgrade to premium quality for keepsake photos. We offer four different finishes to give your photos the perfect final touch – matte to resist fingerprints and glare; glossy for shiny, sharp, vibrant images; lustre gives you the best of both with a slight gloss and anti-glare; and metallic for a striking, chrome-like artistic appearance. We offer a full range of sizes that can be printed with our without borders. If you’ve waiting for a sale to finally print all those great photos you are constantly digging through on your smartphone or have stored away on your computer, flash drive, or cloud … the wait is over! Our everyday low prices outdo most sales you will see from your local drug store’s photo department. 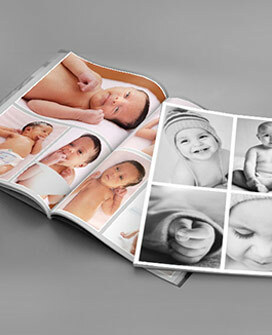 You will get professional quality with speedy service, all at a price that lets you print as many photos as you want. 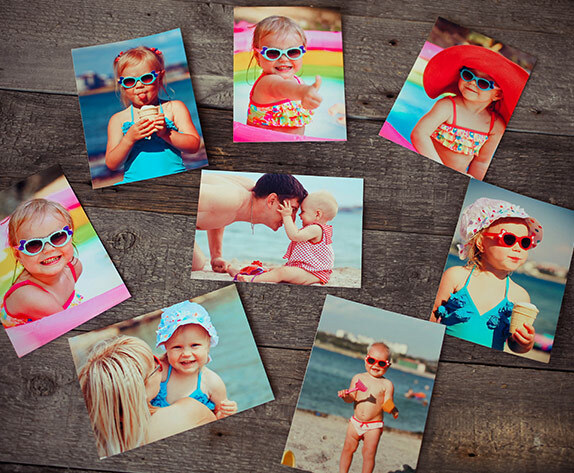 Our photo tools make it super easy to get professional-quality prints. Simply choose the size, paper quality, border option, and finish. Boom. You’re done. In addition, our customer service, available 24/7 on business days, is second to none. We offer free help with editing if you need it. We can usually turn an order around in 24 to 48 hours with a choice of shipping options via FedEx or UPS. 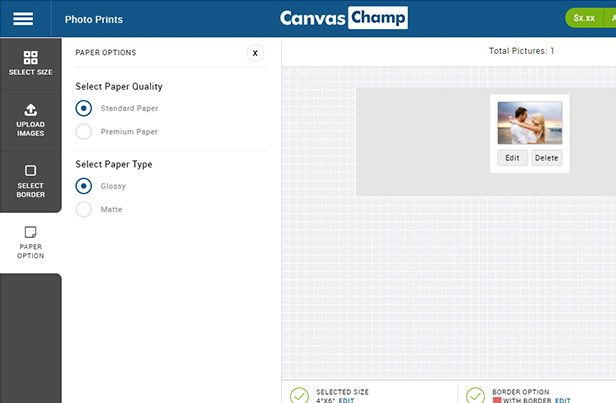 What makes Canvas Champ your best source for photo printing? First of all the quality. 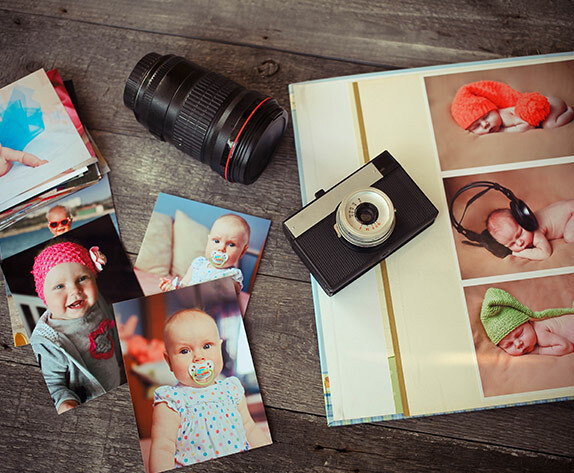 Choose from photographic paper and finishes to give you a professional look at the lowest prices you’ll find in the industry. Futhermore, we are passionate about what we do. Our helpful customer service team is available 24/7 on business days and will help with editing … free of charge. We will turn your order around quickly and are proud of our record of 99.98 percent on-time or before-time deliveries. We go out of our way to offer options that make sure the finish you select for your precious photos isn’t an afterthought. Of course you can choose from the standard matte or glossy finishes, depending on the type of photo and how it will be used. But we also offer a lustre finish, which is the best of matte and glossy, giving you a fine, pearl-like texture with a slight gloss, deep color saturation, and high contrast … yet with resistance to glare and smudges. We also offer a metallic finish for a unique 3-D artsy look with a striking chrome-like sheen. Is 4 x 6 standard photo size? Yes, 4 x 6 is one of the most popular sizes for snapshots. The size originated from postcards. Is 4 x 6 or 5 x 7 better? A 4 x 6 print is the cheapest standard size and the most popular for unframed prints. If you want to frame your print, a 5 x 7 might be the better choice, but you could also frame a 4 x 6 with a mat in a 5 x 7 frame. What is best resolution for printing photos? The official standard for sharp, professional-looking images is 300 pixels per inch. What resolution do you use? It’s fast and easy with our photo tools. Just click on the Photo Prints tab and upload your image(s). Select the size and orientation. Choose the border option. Select the paper quality and type of finish. Then add to cart and get ready for professional-quality prints to arrive at your door. 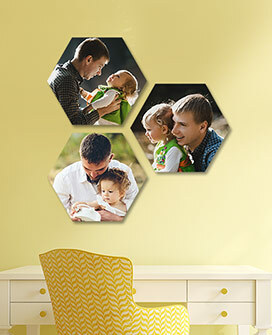 How do I print a large picture? 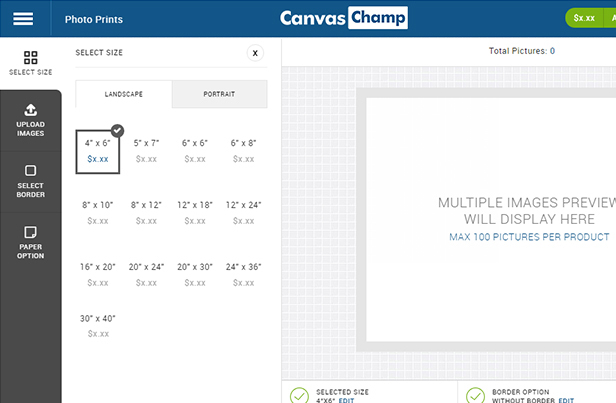 You follow the same steps to create professional prints, regardless of the size. Just click on the size you want. See question 5. What is the difference between matte and glossy pictures? A glossy finish does just what the name says – it glosses over the photo to give it a shine that makes the colors appear more vibrant. The coating is actually the same as what is used on a matte photo, except more of the final coating is used. The downside of a glossy finish is that it creates glare when viewed from some angles, and it is more prone to showing fingerprints and smudges. Glossy prints could also stick to glass. A glossy finish would be a good choice for photos that aren’t going to be handled frequently and are best kept in an album. Matte photos don’t highlight the color as much as glossy photos and may appear a bit grainy because of the enhanced texture. With less of that final layer of sheen, they resist glare and fingerprints. For this reason, professional photographers tend to prefer a matte. A matte finish is a good choice for black and white photos and photos that will be framed. What is a lustre photo finish? A lustre finish gives you the best of matte and glossy finishes. It features deep color saturation with high contrast and realistic-looking skin tones. The slight gloss with a subtle texture resists glare and fingerprints. 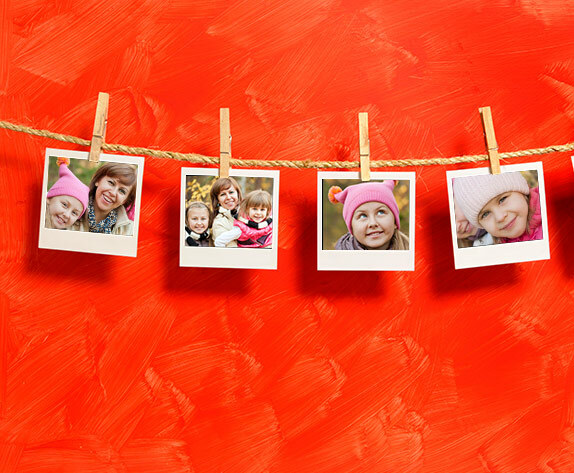 Photographers tend to choose a lustre finish for keepsake photos that will be framed. What are metallic photo prints? A metallic finish looks like it was printed on a sheet of metal. This ultrabright, high-gloss finish gives your photo a striking 3-D look with intense colors and a unique chrome-like appearance. It’s extremely durable and resists stains, scratches, tears, and damage from UV light. This option is recommended more for artistic images than traditional portraits. Metallic prints should be framed without glass. Is lustre or glossy better? It depends what you plan to do with your photo. Both will give you vibrant colors, but the glossy finish is more prone to glare, fingerprints, and smudges. If you have snapshots you plan to put in an album, glossy would be the way to go. But if you plan to frame your photo, a glossy finish could stick to glass, so the lustre would be the choice for a keepsake portrait. See questions 7 and 8 for more details. What is the difference between metallic and Lustre prints? See questions 8 and 9.